The first serious study of his discourse in nearly a quarter century, John F. Kennedy and the Liberal Persuasion examines the major speeches of Kennedy’s presidency, from his famed but controversial inaugural address to his belated but powerful demand for civil rights. It argues that his eloquence flowed from his capacity to imagine anew the American liberal tradition—Kennedy insisted on the intrinsic moral worth of each person, and his language sought to make that ideal real in public life. This book focuses on that language and argues that presidential words matter. Kennedy’s legacy rests in no small part on his rhetoric, and here Murphy maintains that Kennedy’s words made him a most consequential president. By grounding the study of these speeches both in the texts themselves and in their broader linguistic and historical contexts, the book draws a new portrait of President Kennedy, one that not only recognizes his rhetorical artistry but also places him in the midst of public debates with antagonists and allies, including Dwight Eisenhower, Barry Goldwater, Richard Russell, James Baldwin, Martin Luther King Jr., and Robert Kennedy. 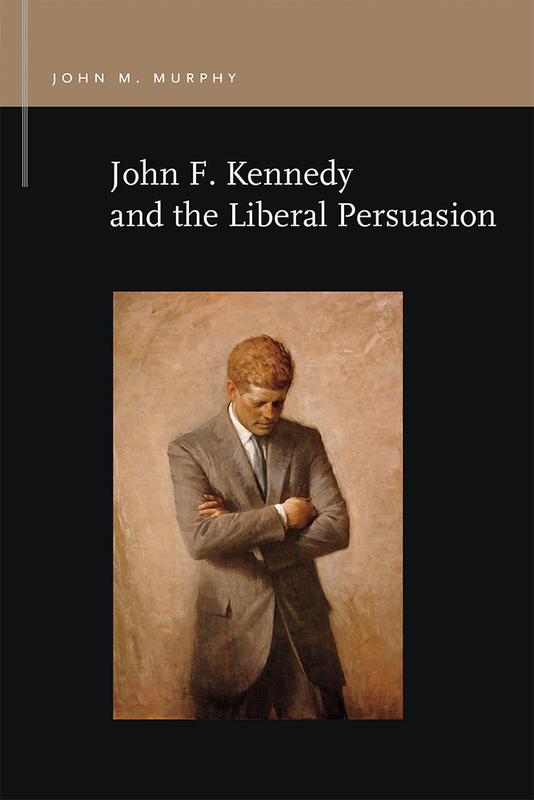 Ultimately this book demonstrates how Kennedy’s liberal persuasion defined the era in which he lived and offers a powerful model for Americans today. John M. Murphy is an Associate Professor in the Department of Communication at the University of Illinois.